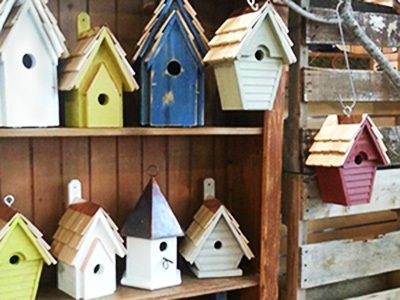 Garden Supplies Bird Feeders Fertilizers Annapolis Severna Park | Homestead Gardens, Inc.
Take advantage of cooler fall weather to fertilize, control weeds, and improve the health and appearance of your yard. Adjust your mower back to normal mowing height. Fertilize in the fall! It helps your grass green up earlier and look better in spring. 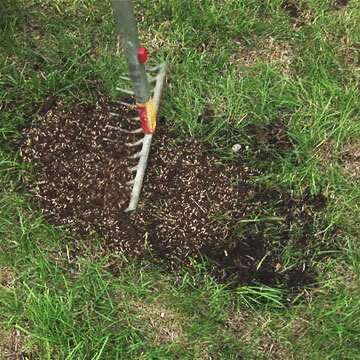 Remove fallen leaves to prevent suffocating your lawn! Scotts® EZ seed is a great way to repair small bare spots in your lawn. Homestead’s high quality tall fescue sod is a convenient way to get an instant solution to bare spots. The end of summer doesn’t mean the end of your lawn maintenance regimen. Many homeowners think lawns need less care in the fall because the grass grows more slowly. However, this is a common misconception. During this time of year, your lawn is working hard absorbing energy, moisture, and nutrients in preparation for a long, dormant winter. Give your lawn a little attention now, and be rewarded with a lush, healthy spring lawn! If you raised the height of your lawn mower in summer to reduce heat stress to your lawn, return the mower deck to its normal mowing height (about 2 inches tall is best for most grasses) in fall. Cutting your lawn slightly shorter in autumn helps prevent the grass from matting down under leaves and snow. Fall is the best time to fertilize your lawn if you live in the North. Cool-season grasses, such as bluegrass, fescue, and ryegrass, respond well to feeding in early September and again in late fall (late October or November). It helps them green up earlier and look better in spring. Top dressing means applying a thin layer of soil or compost to your existing turf. The process improves growing conditions by reducing thatch, increasing the amount of organic matter in the soil, smoothing bumps in the lawn and providing a base for new over seed to take hold. Spread a thin layer of Scotts® lawn soil on the lawn. Be sure to dethatch or aerate before you apply a top dressing. Then work the top dressing into the soil by raking it in. Overseed thin lawns or large dead areas using one of Homestead’s grass seeds. Pay attention to the color and texture of the grass you have and try to match it or bring us a sample and we will steer you in the right direction . Keep the newly seeded sections moist while seeds sprout. Frequent light sprinklings are best at first. Gradually increase the interval between waterings to encourage the roots to grow deeper into the soil. Remove fallen leaves by raking them or mulching them with a mower before they mat down and smother your grass. A mulching mower works well to shred small amounts of leaves and returns the shredded organic matter to the soil, much like top dressing. When many leaves are present, rake them off the lawn and compost them. Dandelions, clover, and other broadleaf weeds are easy to spot in spring, but fall is the best time to rid your yard of these pests. Sprays work best on days with moderate temperatures and when the soil is moist. Use Weed Beater Plus by Bonide® in fall to combat these weeds and get a jump start on a beautiful, weed-free lawn in the spring! Early fall is a great time to reseed your thin lawn. If you seed in autumn, you’ll have fewer weeds. And the seedlings will become established before stressful hot weather conditions arrive. Use Homestead’s own premium tall fescue blends for a beautiful lawn. Fall is also good time to start a new lawn or patch existing turf with sod. Moderate temperatures and abundant moisture get sod off to a quick start. Homestead’s high quality tall fescue sod is a convenient way to get an instant solution to bare spots. Scotts® EZ seed is also a great way to repair small bare spots–this all-in-one seed and fertilizer is quick and easy to use.